New York, NY (November 27, 2018) - Valiant Entertainment is excited to announce that comics journalist and marketing professional Gregg Katzman has been named to the position of Marketing Coordinator. 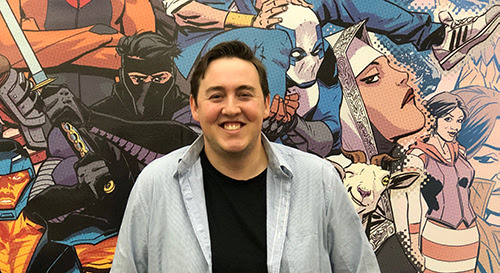 In his new role on the Valiant Marketing team, Katzman will focus on growing awareness of the Valiant brand through engagement with comics press, retailers, and Valiant fans, plus will work on forging strategic relationships with key partners in the entertainment space. Katzman has almost a decade of experience in the press and retail side of the comic book industry. 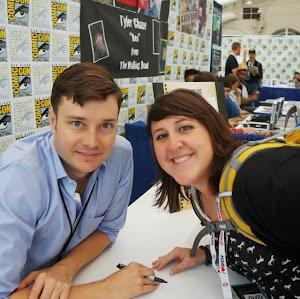 He's created entertaining and informative content for Comic Book Resources, IGN Entertainment, Comic Vine, and more, which included a plethora of editorials, reviews, and interviews about Valiant Comics. 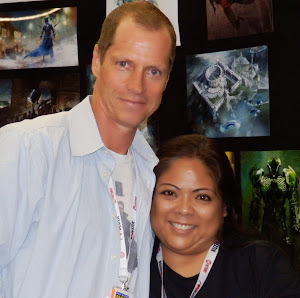 He also spent two years as Midtown Comics' Marketing & Events Manager, focusing heavily on fan engagement and passionately generating exciting opportunities for fans, including a multitude of signings with comic creators – such as a Batman Day event that featured Frank Miller, Scott Snyder, Greg Capullo, and Tom King – and collaborated with TV networks, film studios, and PR firms to offer fans the chance to see comic book movies before they opened in theaters and even attend premieres. Katzman has a BA in Communications from the University of Hartford. "I'm beyond excited to join the Valiant team," said Katzman. "The 2012 relaunch immediately won me over and since then, I've been doing my best to motivate people to check out Valiant. Their focus on quality over quantity speaks for itself and there really is something for everyone to enjoy. The Valiant Universe is such an awesome place that's overflowing with potential, and after hearing about the team's upcoming plans (I can't spoil anything or else they'll send Ninjak after me), it's only going to get better." Valiant Entertainment, a subsidiary of DMG Entertainment, is a leading character-based entertainment company that owns and controls the largest independent superhero universe in comics. With more than 80 million issues sold and a library of over 2,000 characters, including X-O Manowar, Bloodshot, Harbinger, Shadowman, Archer & Armstrong, and many more, Valiant is one of the most successful publishers in the history of the comic book medium. Valiant consistently produces some of the most critically acclaimed comics in the industry and has received numerous industry awards and accolades, including a Diamond Gem Award for Comic Book Publisher of the Year. For more information, visit Valiant on Facebook, Twitter, Instagram, and ValiantEntertainment.com. For Valiant merchandise and more, visit ValiantStore.com.